The restricted life of children is negatively impacting their healthy development. Children are not allowed to venture out into streets and parks alone, even with their friends as previous generations did. How can the urban public realm be planned and designed so that children find the physical and social stimulation necessary for healthy development and re-engage with the culture and ecology of the place? Simon Atkinson, PhD, Professor in Community and Regional Planning, University of Texas, Austin; Adjunct Professor, School of Architecture, NC State University. Designing Cities: When will the child become important? Cheryl Charles, PhD, President and CEO of the Children & Nature Network. The Ecology of Hope: Building a movement to reconnect children and nature. Allen Cooper, Esq., Senior Manager, State Education Policy Initiatives, National Wildlife Federation. 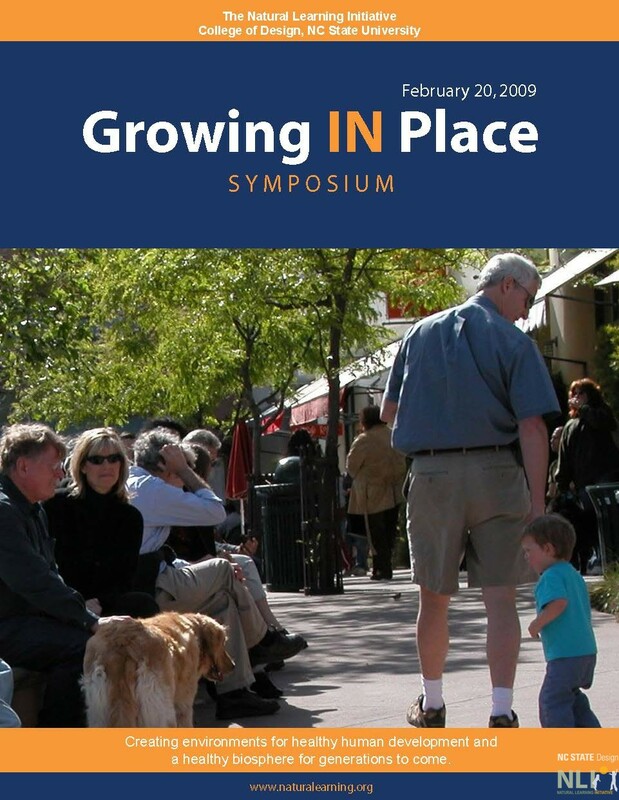 Putting Policy into Action: Strategies for implementing child-friendly urban design policies. Dan Douglas, AICP, Director, Raleigh Urban Design Center. Raleigh’s Child and Family Friendly Initiatives. Tim Gill, UK, leading writer and thinker on childhood. Unleashing Childhood: How we can overcome our anxieties and design towns and cities that give children the freedom to learn and grow. Robin Moore, Dipl.Arch, MCP, Director, Natural Learning Initiative, NC State University. The Time is Now: Implementing a child and family urban design agenda. Richard Rairigh, Senior Program Manager – Early Childhood Development, Be Active NC. Short presentation and physical activity energizer. Ian Simkins, PhD, Leverhulme Research Fellow, University of Sheffield, Landscape Architect, UK. Existing and aspirational neighborhood place experiences of primary school aged children. Interactive Group Session: Creating policy and guideline strategies for sustainable urban design for children and families.